Florida’s primary on Tuesday could finally decide who will get both the Republican and Democratic presidential nomination. The Sunshine State's pivotal role in the primary system was no accident, and it may be surprising to find out that the man behind Florida’s winner-take-all primary is Marco Rubio – whose own presidential aspirations may be decided on Tuesday night. Presidential elections have always sparked conversation around the dinner table and at news stands. Then, with the growth of media, that conversation spread to every screen and speaker imaginable. 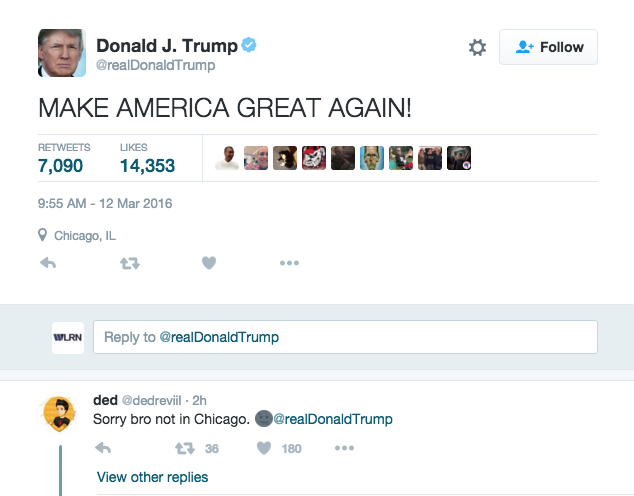 Now, the platform for political talk is social media. And it could very well be changing the structure of the campaign as we know it. After one more debate among the Republican contenders for president, the postgame conversation was once again dominated by Donald Trump's behavior. But for once, it was about his good behavior. He did not shout or fulminate, nor did he pout or belittle his opponents or joust with the moderators. The Republican presidential candidates gathered at the University of Miami for its last debate before the Florida primary on Tuesday. 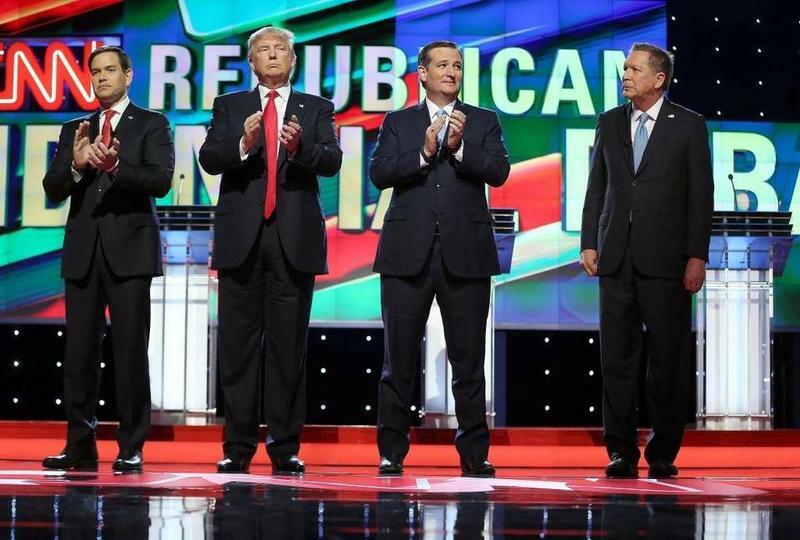 America’s changing relationship with Cuba was part of the discussion at last night’s Republican primary debate. Donald Trump said he doesn’t agree entirely with President Barack Obama’s diplomatic openings with Cuba, but something needs to change. The fight to improve wages for Florida's tomato pickers hit the national stage over the past week, as part of the race for the Democratic presidential nomination. 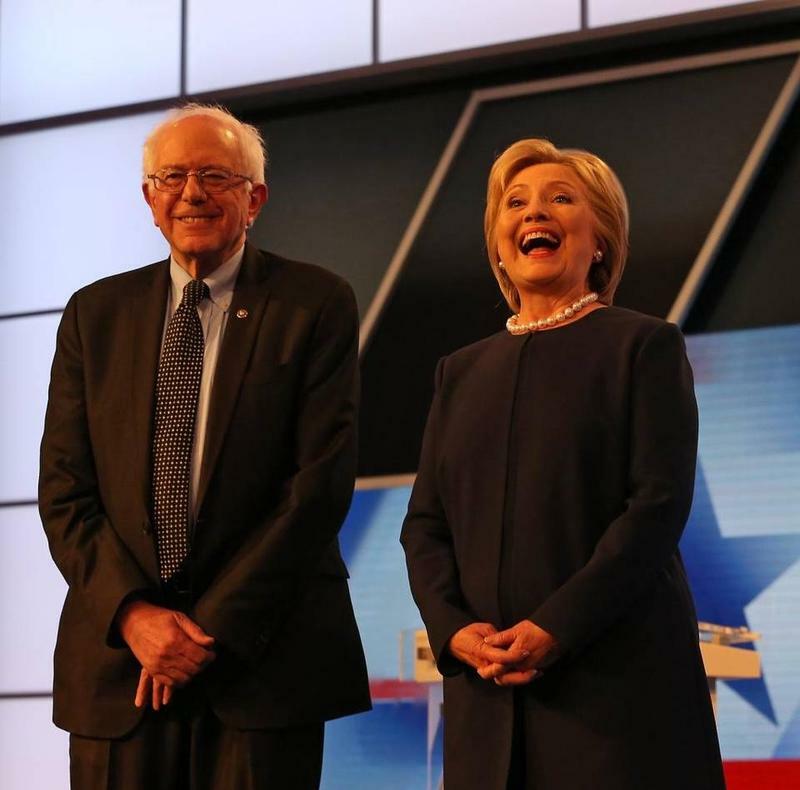 One day after splitting the primaries in Michigan and Mississippi — and less than a week before the Florida Primary — Democratic presidential candidates Hillary Clinton and Bernie Sanders debated Wednesday night in front of an enthusiastic and engaged audience at Miami-Dade College's Kendall campus, which Clinton referred to as "the largest college in North America." 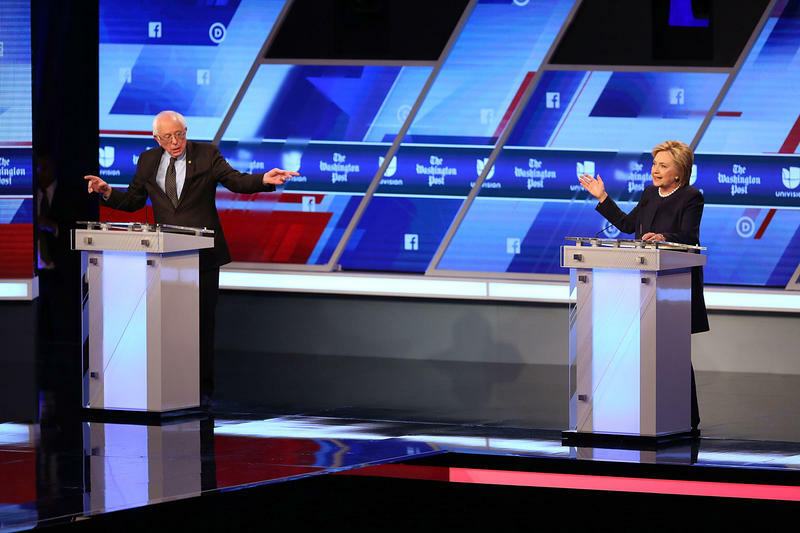 Bernie Sanders and Hillary Clinton had another tense debate Wednesday night in Miami, less than a week before crucial primary contests on March 15. 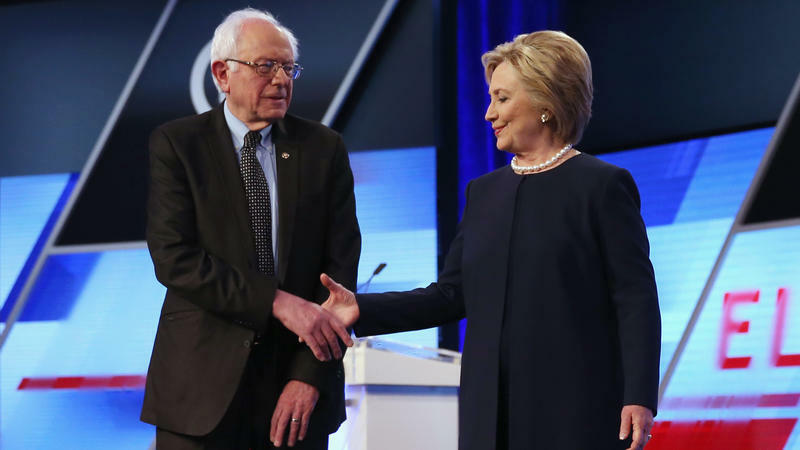 The latest face-off between the two came as the Vermont senator was riding high from an unexpected victory Tuesday in Michigan. The two clashed over immigration reform, U.S.-Cuba relations and Wall Street policy, and debated their electoral strategy going forward. Next Tuesday, voters from Florida, Ohio, Missouri, North Carolina and Illinois will cast their ballots. Democrat Hillary Clinton and Republican Donald Trump hold hefty leads as next week's presidential primaries loom in Florida --- a potentially ominous sign for home-state GOP candidate Marco Rubio, according to a poll released Wednesday. 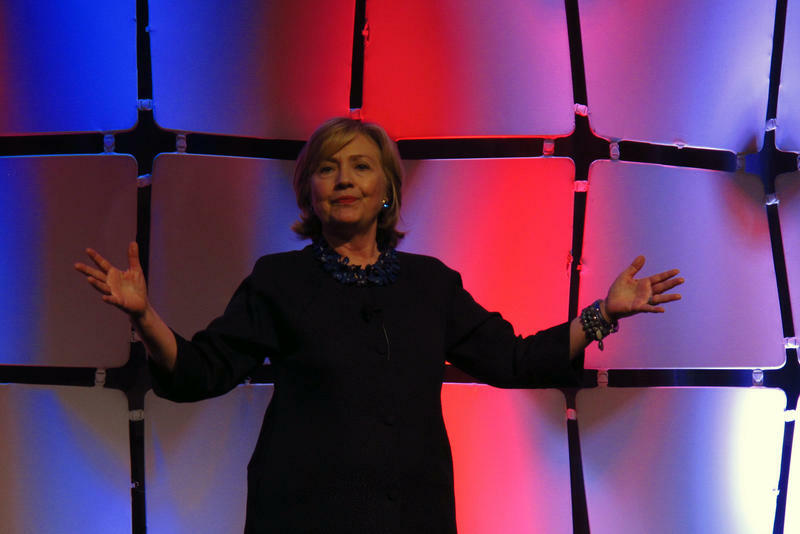 Clinton, the former secretary of state, leads Vermont Sen. Bernie Sanders by a margin of 62 percent to 32 percent among likely Florida Democratic voters. 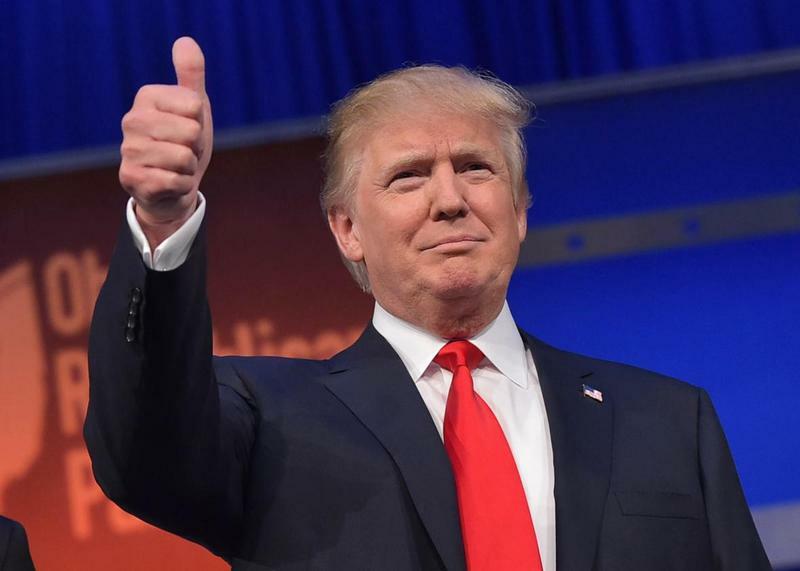 Trump, meanwhile, leads Rubio by a margin of 45 percent to 22 percent, with Texas Republican Sen. Ted Cruz at 18 percent, the Quinnipiac University poll shows. 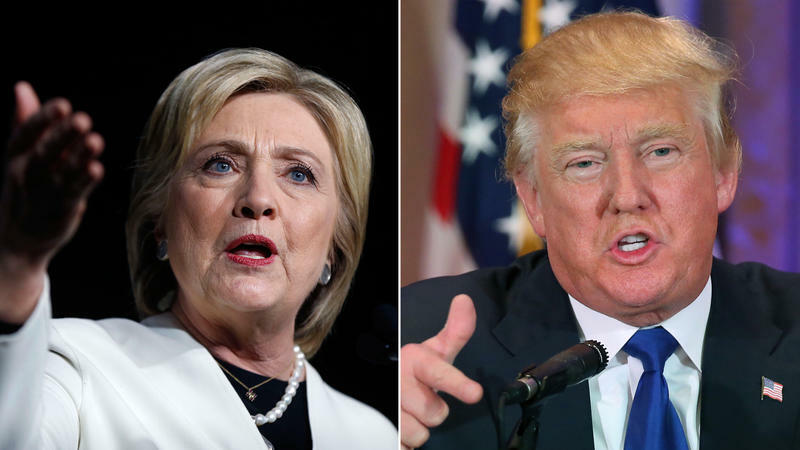 Two presidential debates are coming to Miami this week. 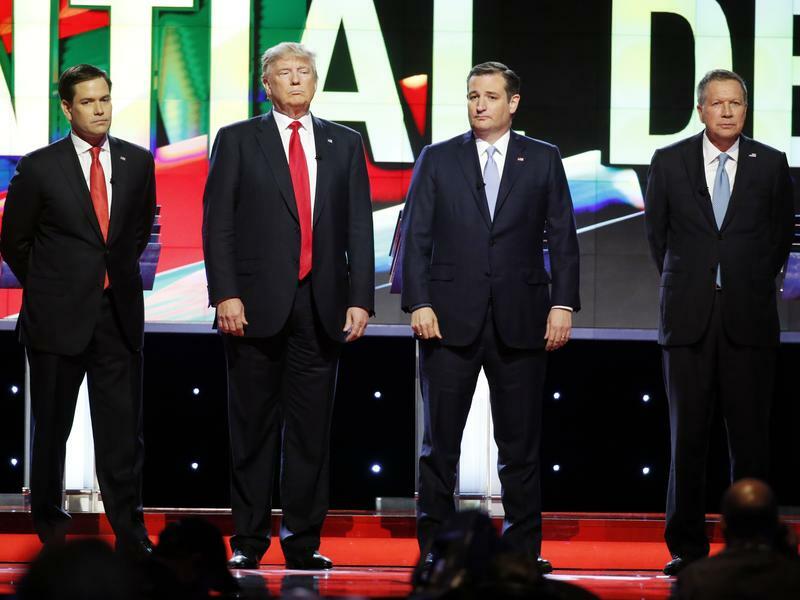 Republican candidates will debate at the University of Miami Thursday night. But first, Democrats will take the stage Wednesday night at the Kendall campus of Miami Dade College. Twenty-one mayors – most of them from South Florida – sent a letter to the moderators for both debates. The mayors want the candidates to explain how they plan to deal with climate change and sea level rise. House minority leader Mark Pafford, D-West Palm Beach, is finishing up his last regular legislative session. He's leaving because of term limits. "This process is better when you have new minds and fresh ideas," Pafford says. For the record, he doesn't like term limits and calls his departure an "involuntary constitutional resignation." Florida is one of 13 states with a closed primary. That means in order to take part in the March 15 primary one must be registered either as a Democrat or a Republican. We spoke with Christina White who is running the Miami-Dade County elections office through this month's primary before being named the official supervisor of the office later in May. 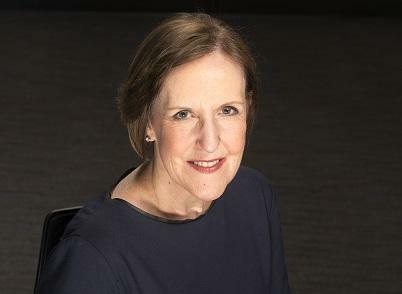 She spoke about some of the changes voters can expect to find, that should make the process much smoother. 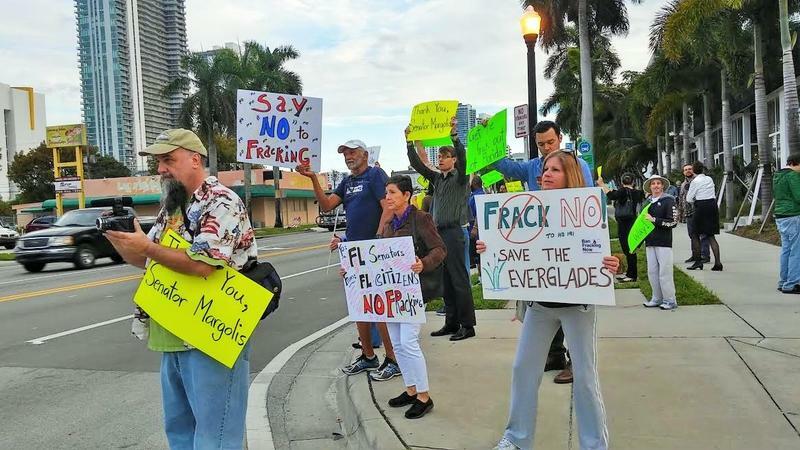 The Senate sponsor of a controversial bill about the regulation of "fracking" in Florida withdrew it from consideration Tuesday, saying he didn't have the votes to get through a key committee. Sen. Garrett Richter, R-Naples, told members of the Senate Appropriations Committee that the opposition of environmentalists played a key role in thwarting the measure (SB 318). "Emotions tend to magnify the controversy," he said. Hillary Clinton and Donald Trump notched big wins across the South on Super Tuesday as they extended their leads for their party's nomination. On the Republican side, Trump has won seven states: Virginia, Arkansas, Alabama, Tennessee, Vermont, Massachusetts and Georgia. Sen. Ted Cruz won his home state of Texas, eked out a surprise victory in Oklahoma and won the caucuses in Alaska. 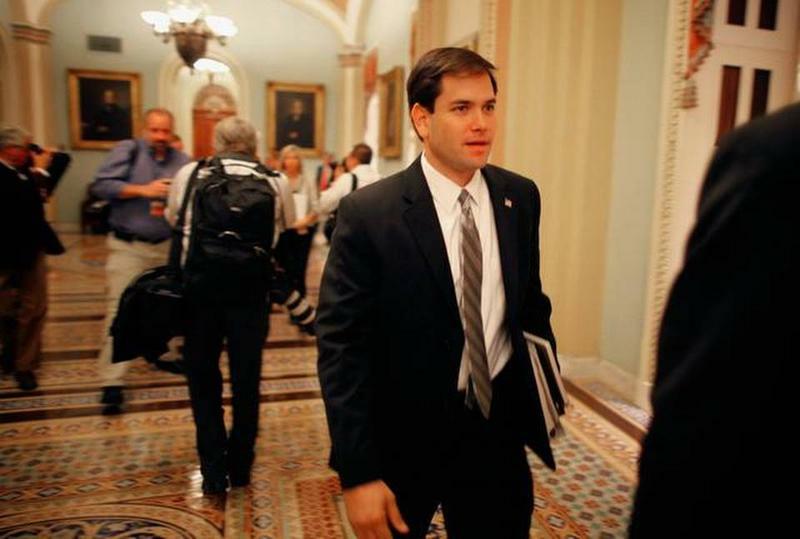 Florida Sen. Marco Rubio finally got his first outright win by taking the Minnesota caucuses. 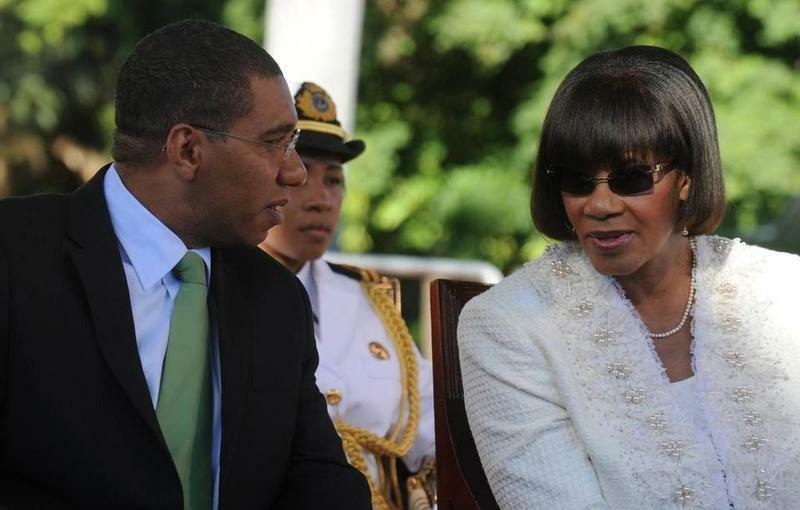 Jamaica will soon have a new Prime Minister. In yesterday’s parliamentary elections, Andrew Holness and the Jamaican Labor Party scored an upset victory. Which means they will now have to deal with the Caribbean country's heavy economic crisis. Jamaica’s debt situation is among the world’s worst. To rein in the problem, current Prime Minister Portia Simpson-Miller has imposed strong economic austerity measures. Economists say she’s made progress. But political observers say Jamaicans are weary of the belt-tightening.